It was the first library of its kind created under a congressional act that encouraged future presidents to donate personal artifacts to start federally funded libraries in their name. While Chicago vies for consideration as the future site of the Obama Presidential Library, just a short flight from the Windy City stands a long-time presidential library well worth a visit. The Harry S. Truman Presidential Library in Independence, Mo., holds a special place among the 13 presidential libraries built so far: It was the first library of its kind created under a congressional act that encouraged future presidents to donate personal artifacts to start federally funded libraries in their name. 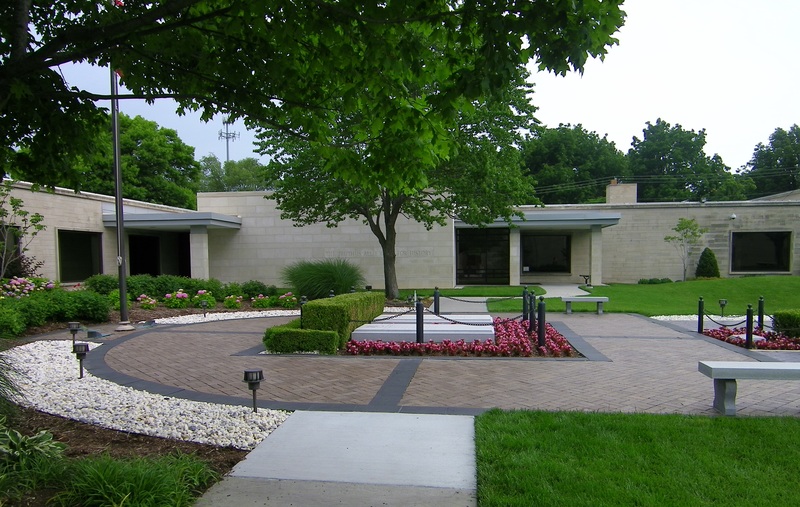 Especially noteworthy is the Truman Library's location. The property, spanning 10,500 square feet of exhibition space, is anchored in the very city where America's 33rd president -- the "man from Independence" -- grew up, raised a family and later retired. 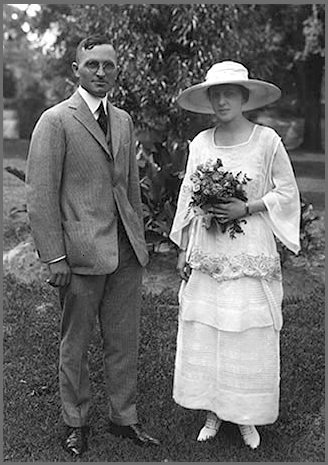 Just beyond the library's doors, in the courtyard, is the final resting place for Truman himself, as well as his wife, Bess, their daughter, Margaret, and her husband, Clifton Daniel. "Probably more than any other president, Truman's connections to his home community were very strong," says Clay Bauske, museum curator at the Harry S. Truman Library. "And locating the library here gives visitors a strong sense of the community that shaped his character." So do the artifacts on display. Many items speak to the difficult decisions that Truman faced as president, including what he regarded as his toughest call: entering the Korean War. Visitors can see a blistering letter that the president received from a man who lost his son in the Korean War. Truman kept that note, and accompanying Purple Heart, in his desk until the end of his life. While some view presidential libraries as grandiose affairs, the Truman Library is plainly relevant. The American military was ordered to be desegregated under Truman's presidency. And many agencies, including the Defense Department and the CIA, were created during his time in office. Under the Truman administration, the U.S. also became permanently involved in far-reaching international relationships like the United Nations, NATO and bold international initiatives such as the Marshall Plan. Visitors can learn of these events, as well as Truman's role in dropping the atomic bomb on Japan, in a tour of two floors of exhibit space showcasing various photographs, documents and film clips. In many ways Truman was also our last "common man" president, and visitors can see this common touch reflected in a recreation of the Oval Office; it includes the original sign, "The Buck Stops Here," which Truman kept on his White House desk. 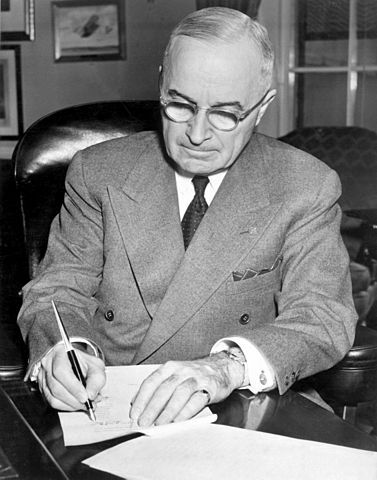 While Truman was also the last of the modern presidents not to have gone to college, many of his sayings ("do-nothing Congress" ... "If you can't stand the heat, get out of the kitchen") went on to be absorbed into everyday conversation, by future presidents themselves. Visitors can learn of Truman's humble start in many of the handwritten letters that he sent to his wife, Bess, between 1910 and 1959. Many chronicle the ups and downs he faced before finding his way in politics. Before entering the public arena in 1926, as a presiding judge of a local county court, he had seen his haberdashery business in nearby Kansas City, Mo., go bankrupt. He had also failed as a farmer. But Truman thrived at politics, and when he left public office for good, in January 1953, he returned to Independence, Mo., where he played a large role in creating the Truman Library, personally working on the grounds 5 to 6 days a week until he finally retired for good in 1966. Take a tour of the Truman Library here. Reflecting Truman’s love of history, this mural, depicting the opening of the west, is the first thing visitors see upon entry into the library. The mural was painted by Thomas Hart Benton, an American Regionalist artist, from Neosho, Mo. Truman helped paint a patch of blue sky in this corner of the mural. Truman always regarded the Korean War as his toughest decision as president, and kept this stinging letter from a father who had lost his son in the Korean War in his desk for years to come.